This entry was posted in Education, Travel and tagged digital art, dream to travel, travel goals, wanderlust on July 21, 2017 by Yami. Last year, I read an article online about the Department of Education distributing thousands of digital pianos, metallic boards in public elementary schools in the National Capital Region, Central Luzon, and Southern Tagalog regions. The move is said to address the lack of musical instruments in public schools. I wonder if there’s a development on this project. If the government will have another project like this and they would decide to give out guitars and would look for accessories like capo guitar, check it out at MusiciansFriend.com. Giving musical instruments is something that private institutions should consider sponsoring to support well-deserved students pursue a career in music and related opportunities. This entry was posted in Music and tagged digital piano, musical instrument, musical instrument for poor students on July 12, 2017 by Yami. 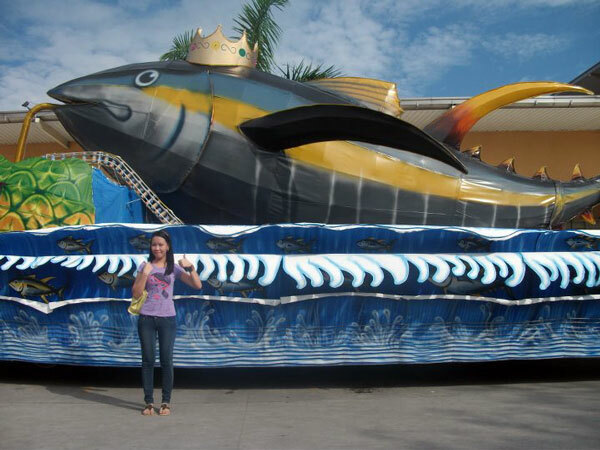 Our niece making two thumbs up beside the Tuna Festival Float. Borrowed from her Facebook account. If hubby had his way he would be visiting his hometown as many times as possible. He misses the old place in General Santos City and staying for a couple of days is not enough for a busy man like him. The last time he went home may not be a happy occasion but at least he gets to bond with her siblings, nephews and nieces at the beach. They spent a few hours swimming, eating, and listening to music being played at the nearby cottage. The songs have brought back so many memories from his generation. He check it out! the lyrics of each song so he could sing along. He wishes to go back to Gensan for the Tuna Festival in September. This entry was posted in Music, Occasion, Personal and tagged General Santos City, Gensan Tuna Festival 2017 on July 3, 2017 by Yami.